One of the best trick decks ever invented. Perform the world's cleanest TRIUMPH with no sleight of hand! This deck of cards is brilliantly abnormal. It makes impossible tricks possible. It makes difficult tricks simple. A card is freely named aloud by your spectator. You display a deck of cards, showing all the cards in new deck order. Why twist when you can spin? The doctor is in. 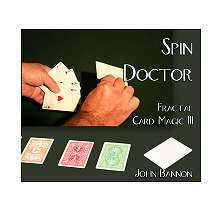 Author and creator John Bannon remixes a classic Ace trick. Four red-backed Aces, held face-down, are spun. After each revolution, a different Ace turns face-up. 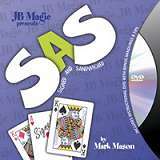 Have you ever wanted to finish your Ambitious Card routine with an ending that would totally astonish both lay people and magicians? Look no further, Peter Nardi's Faster Than A Speeding Bullet is just this, with a bang! Stab a chosen card in mid-air with a pocket knife! This improved version of John Kennedy's classic effect is the best ever. Why? Any brand of playing cards can be used. The card is freely chosen. No force is used. The card can be signed and then given out as a souvenir after you stab it. Two cards are selected from a deck. 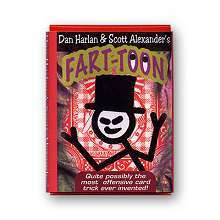 The Magician draws a small card on the back of an indifferent card. This card is one of the selections. 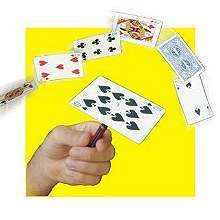 With a FLICK of the finger the DRAWN card changes to the SELECTED card. The spectator shuffles a deck, from which you remove a set of five cards. The spectator thinks of one (they don't even need to name it) and you instantly show that you knew exactly which card was selected! No sleights, no moves, no pumping…just pure magic. 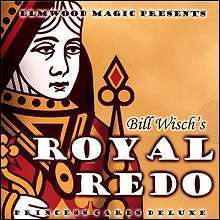 A card is selected from a regular red deck, it is signed and placed into the center of the pack. The spectators actually see the selected card going into the deck, no control etc. After your favourite ambitious card effect, the signed card is lost in the centre of any deck. 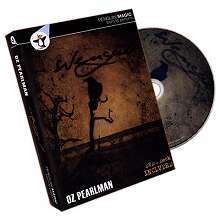 The deck is then placed back inside its case. A Signed card Materializes in Between Two Kings! A card is selected, signed and lost in the deck. Two kings with a joker sandwiched between them are shown and placed to one side. Magician tries to find the selected card but fails. 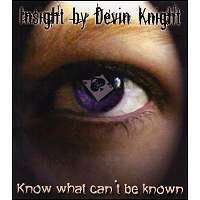 One of Devin Knight's most guarded secrets from his professional act is now being made available. A truly long distance, hands-off mental card effect that seems totally impossible. 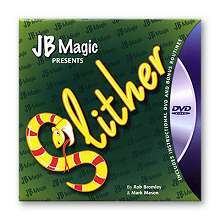 An effect that not only baffles lay people but many magicians as well. 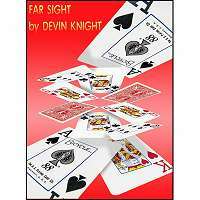 Insight is #3 in the Devin Knight's Psychic Sight series. 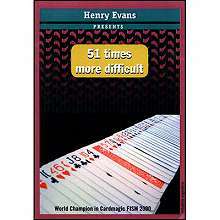 In this release a random spectator exhibits an uncanny INSIGHT by calling out the exact location of a thought of card. This special pack is capable of several effects. Here are just two of the best. 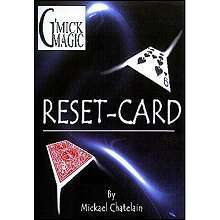 Mickael Chatelain's Reset Card brings the card to the top of the deck with ease. A spectator selects and signs a card. 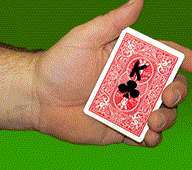 Places the card back into the middle of the deck and the magician waves his hand over it. In an instant, the card is at the top of the deck. It doesn't get any simplier than that! Five jokers are displayed and one is placed aside face down. 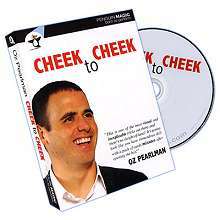 One at a time, the remainingface-up Jokers turn face down. 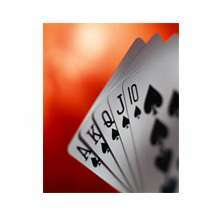 When turned face up again, the cards have turned into a Ten to King Flush. The Joker on the table is revealed to now be the Ace that completes the Royal Flush.